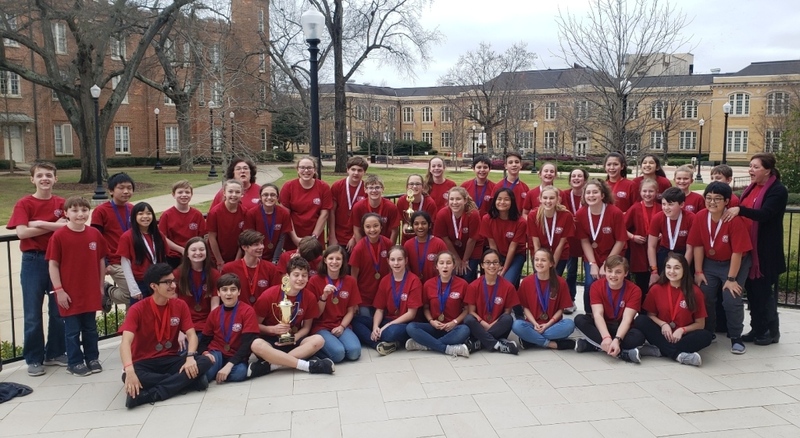 Our award-winning Science Olympiad team continued it's rich tradition of excellence by earning the 1st and 3rd place spots at the Regional Competition in Tuscaloosa on March 2. This placement entitles OLV to take one team to the State Competition at Auburn University on March 30. 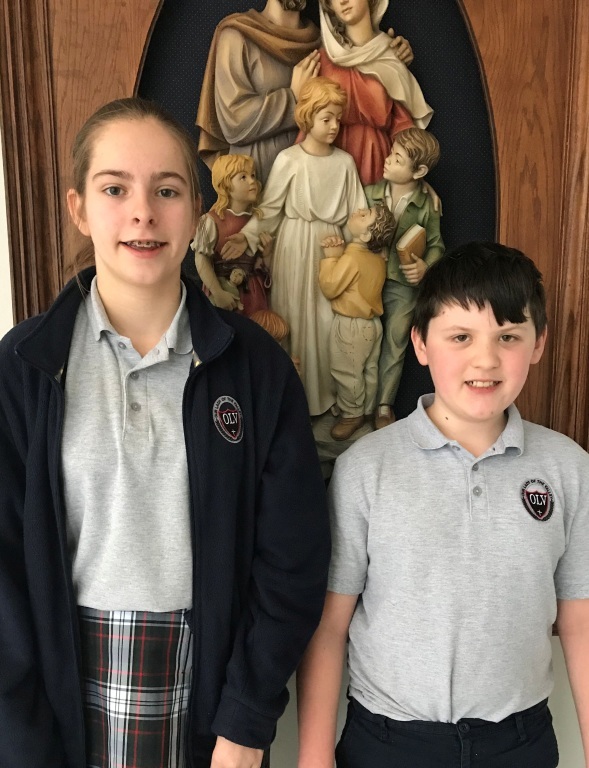 Forty-two 5th-8th grade students comprised the three teams that represented OLV at the Regional Competition where they competed against 17 other teams. Our teams placed in the top 3 spots for 17 of the 23 events they competed in, earning a total of 49 medals. Even the youngest team members from 5th grade earned 2nd and 3rd place medals! We are so proud of all of our students who work countless hours in preparation for these competitions and are eternally grateful to the team's mentors and coaches for guiding these students to success. We know you will all continue to shine at the State Competition! Our prayers will be with you on this day. On January 15, 3rd-8th grade students competed in the annual school-wide Spelling Bee. Each class had four representatives whom had earned enough points to advance to the school-wide bee. We are very proud of our winner, Catherine S. from 8th grade and Kate N. (6th grade), who is our runner up. Catherine will go on to represent OLV in the Shelby County Spelling Bee in February. The school Geography Bee was the following week, with representatives from 4th-8th grade. Sixth grader Nathaniel R. came out on top as our first place winner this year. Congratulations also to Fields H. (8th grade) who was the runner up, and Brandon R. (7th grade) for coming in 3rd place. We are very proud of all the class representatives for both of these events and wish Catherine and Nathaniel the best of luck going forward. Our Lady of the Valley School took two teams to compete against nationally ranked teams at the Chattahoochee Science Olympiad Invitational in Johns Creek, Georgia on December 8th. Our teams performed well, with two events earning medals; quite an accomplishment considering the level of competition. The team is now preparing for their next invitational competition against more nationally-ranked teams. This event will be in Lebanon, Tennessee in January. Read more about these events here. Our Lady of the Valley School students have been very involved in activities of spiritual preparation over the last few weeks. 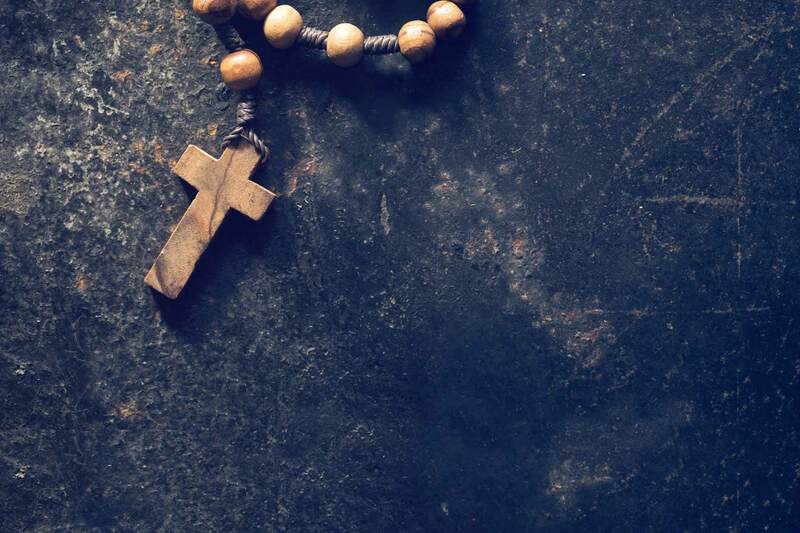 First Friday Adoration, a special Penance service, and weekly Advent prayer services have given students a wonderful opportunity to center their thoughts on Our Lord, Jesus Christ and highlight the importance of preparation during this most blessed Advent season. Click here to read more. 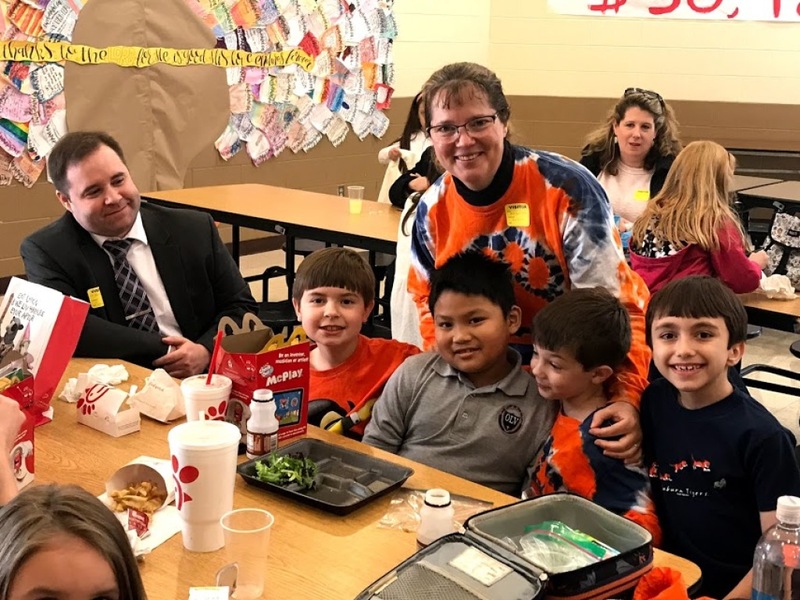 Parents, grandparents, aunts, uncles, and other family members had opportunity to join their child(ren) for lunch the Friday before Thanksgiving, November 16. What a wonderful opportunity for us to gather as a school family to give thanks for our abundance of blessings that we have here at OLV. 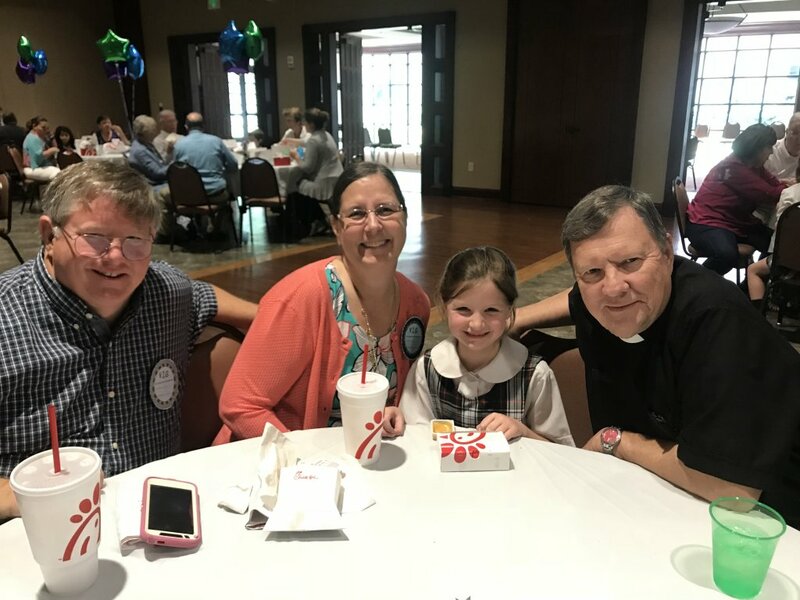 Everyone had a wonderful time, and the atmosphere was one of jovial celebration and warm hearts as the OLV School family gave thanks for God’s grace! This exciting, family tradition began many years ago, and many students, alumni, and parents have fond memories of the food, fellowship. and entertainment by our youngest students. Parents, grandparents, siblings, and church personnel are always invited to attend. The children performed variety of fall/Thanksgiving songs ranging from Ten Little Indians to the infamous favorite, Turkey Tango. On November 12, the school community, along with family members and local veterans were offered a very special tribute to our veterans. Mr. Andy Rothery led a program that began with an historical background of Veteran’s Day, including the fact that it was suggested by a Birmingham native. The program continued with a prayer service led by Mr. Greg Hughes and students, followed by a rendition of “Eternal Father, Strong to Save,” led by Mr. Mike Bridges and the 5th grade class. Mrs. Colleen Sweeney led students in presenting the tradition of the “Missing Man Table,” pictured here. 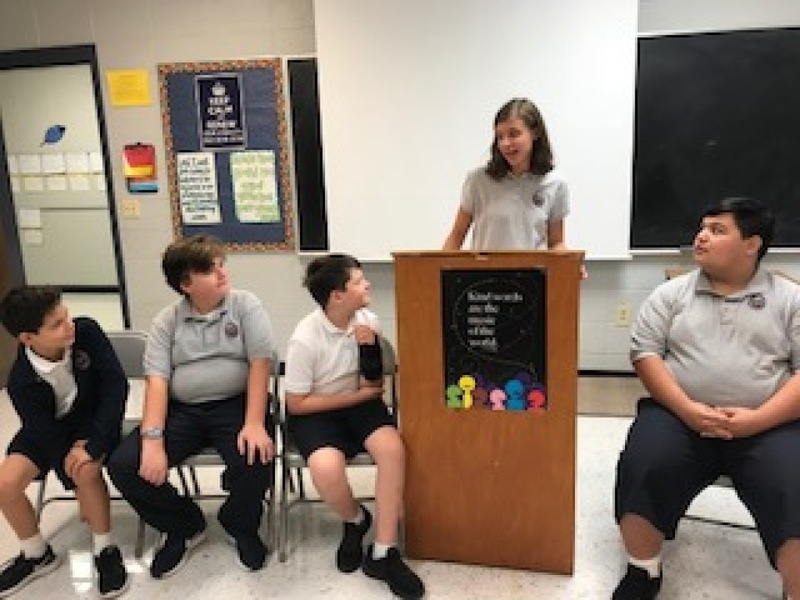 Middle school students at OLV have the opportunity to participate in the Debate Team. 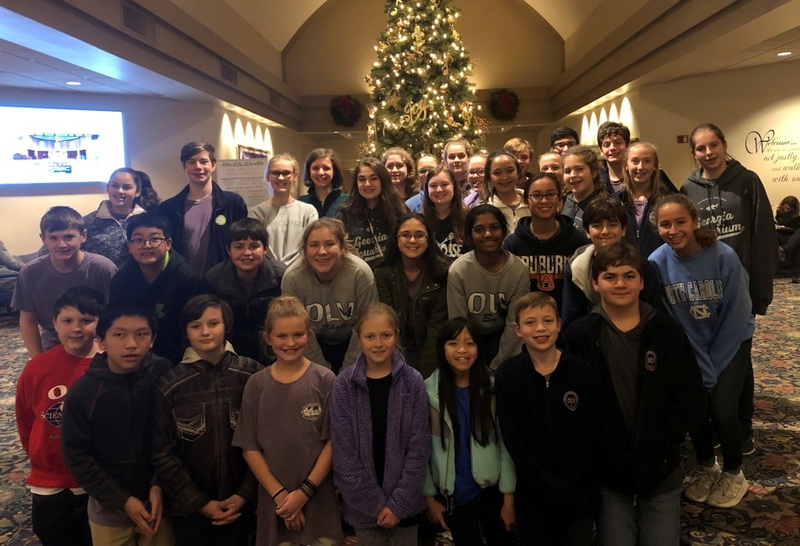 These students will be participating with other middle schools in the Birmingham area in conjunction with the Birmingham Area Debate League through Samford University. A “makerspace” enables students to explore through active learning experiences. Students at OLV have opportunities to hone their problem-solving skills during Makerspace lab times. Click on the article to learn more. 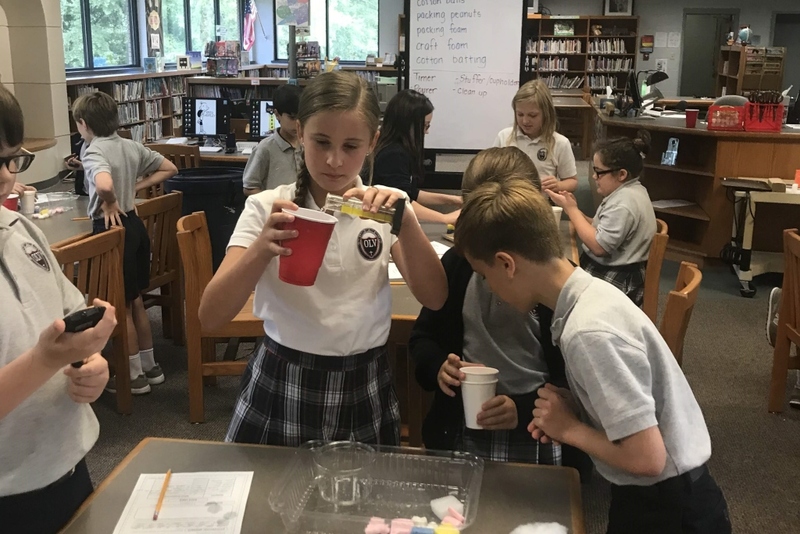 This annual tradition at OLV teaches students about heritage and the vital role that grandparents and ancestors play in our families and communities. Guests streamed in from across the country, including areas as far away as Dallas, Boston, and Indiana. To read more about this wonderful OLV tradition, click on the article.